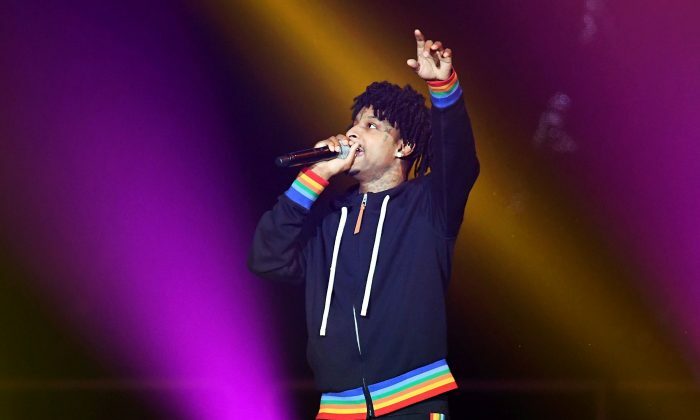 A co-manager for rapper 21 Savage, who was arrested by Immigration and Customs Enforcement (ICE) officers in Atlanta on Feb. 3, said that the rapper is in good spirits despite allegedly harsh conditions. “Everything I’ve told him that has been happening made him happy and makes this time fly by. Thank y’all for the support,” he added. Meezy also claimed that he grew up with Savage and that he was in the same third-grade class as the rapper at Stone Mountain Elementary School in Georgia. ICE said that the rapper, whose real name is Shayaabin Abraham-Joseph, is a resident of the United Kingdom and is illegally present in the United States, CNN reported on Feb. 3. The agency said he legally entered the United States in 2005 when he was minor, but he failed to depart the country under the terms of his visa. After his visa expired in July 2006, his presence in the United States became unlawful, ICE said. Abraham-Joseph was also convicted on felony drug charges in 2014 in Georgia, ICE said. “Mr. Abraham-Joseph is presently in ICE custody in Georgia and has been placed into removal proceedings before the federal immigration courts,” the agency said in a statement about the matter. The agency said his case will now be heard by a federal immigration judge to determine the next move. Attorney’s for the rapper claimed that ICE was trying to intimidate 21 Savage. “This is a civil law violation, and the continued detention of Mr. Abraham-Joseph serves no other purpose than to unnecessarily punish him and try to intimidate him into giving up his right to fight to remain in the United States,” attorney Charles Kuck said in a statement sent to news outlets. 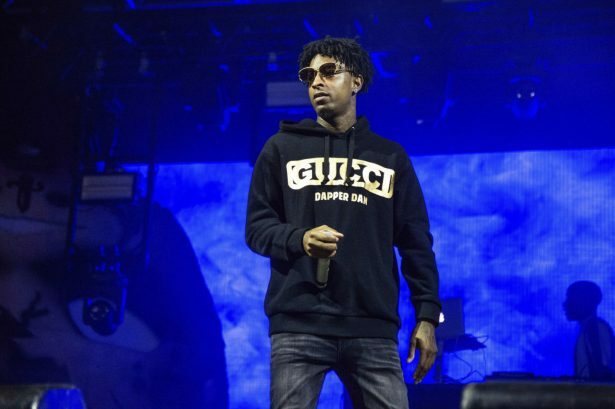 Kuck admitted that 21 Savage’s family overstayed their visas after bringing him to the United States but said that wasn’t his fault. Kuck told entertainment blog TMZ that his client applied for a U-Visa in 2017 and that the application is pending. He said that the application was based on the rapper being a victim of a 2013 shooting where his best friend was murdered. In addition, Kuck said, his client has children here, meaning 21 Savage isn’t a flight risk. He has represented himself as born and raised in Atlanta, making it a shock when the arrest revealed that he was actually born in the United Kingdom. According to the writer, 21 Savage was truthful about his stories about growing up but he left out what came before that. Amid backlash, she said her tweet referred to memes about 21 Savage being a British citizen and not the threat of him getting deported. She also slammed people who brought up her drug issues and deactivated her account.